Travel marketing. How to target the most travelling generation ever? Travelling and millennials are a match made in heaven. 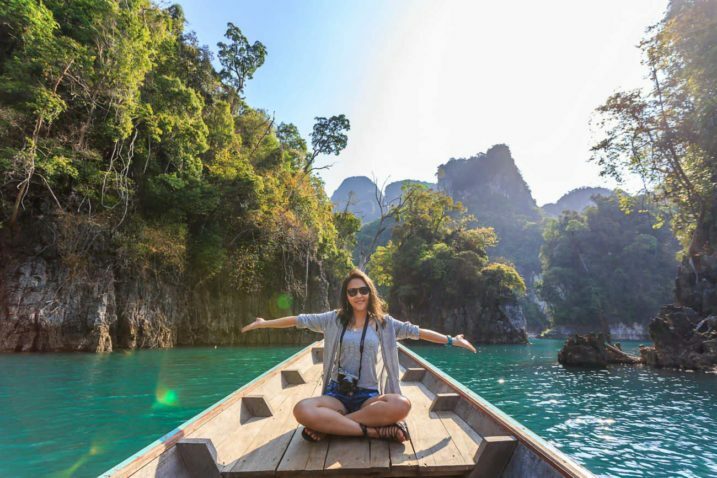 Travel agencies however have been struggling to connect with this travel-loving generation. Generation Y is constantly on the move, non-stop online and always on the lookout for authentic experiences. They are hard to capture, but once they love your brand, millennials are grateful, loyal and valuable travel customers. Get insights on how you can optimize your travel marketing strategy to the new age of travellers. Which generation is more travel-oriented than any generation before them? The millennials, indeed. Unfortunately for travel agencies, they are also atypical travellers, not responding to traditional marketing methods such as print and television. Millennials are all about social media, internet reviews, last-minute bookings and unique experiences. It is not easy to connect with this travel-loving generation. They ask more marketing attention than other the generations, but they are definitely worth it. Millennials are namely 23% more likely to travel than older generations, and they take an average of 3.5 vacations a year. The millennial generation is known for searching for authenticity and uniqueness. A part of this quest can be fulfilled with travelling. Where previous generations saw traveling as a luxury, millennials see it as essential to grow as a unique and open-minded person. They are willing to spend a higher percentage of what they own on travel and transformational experiences than any other generation before them. Generation Y searches for adventures, experiences and wants to learn about new cultures. How to connect with millennials? As a travel agency, it is not easy to connect with a group of customers who doesn’t react as predicted to traditional marketing campaigns. Millennials don’t want to be sold to, or pushed. They rather want to be informed and inspired with helpful content. 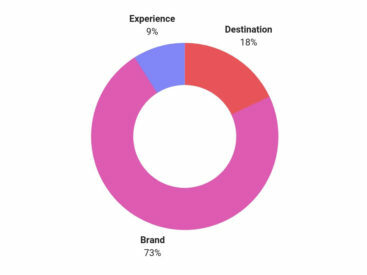 The customer journey of travellers younger than 35 years old is digital. They get inspired on social media, read blogs and reviews on websites, compare prices online etc. Millennials trust mobile and feel comfortable booking a trip on a smartphone. According to a study by SDL, the average millennial checks their phone 45 times a day, and is 56% more likely to discover marketing content on social media than via search engines or e-mail. In other words, as a travel agency, digital marketing is the way to go if you want to connect with this generation. If you want to target millennials, you’ll have to find out what channels they prefer. Millennials want content that finds them, on the channels they like and trust. The unique thing about these customers is the fact that they don’t react to traditional marketing funnels, but rather create their own brand experience across multiple channels and devices. Five out of six connect with companies on social media. Besides, 49 percent of the millennials currently follow brands on social media and 30 percent engage with a brand on social at least once a month. 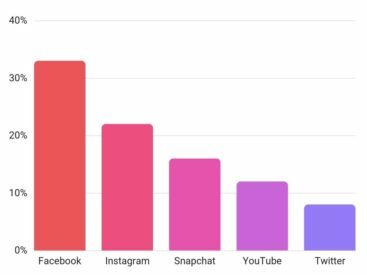 Facebook is still the most favourite channel of all among millennials. Yet, if you want a solid social marketing strategy, one social network should never stand alone. They split more and more of their time between a wide range of social channels. Also note that most younger millennials chooses Instagram as their favourite social media network. According to a study by Sproutsocial, when customers have a positive interaction with a brand, 71% of them is more likely to buy from that company. Facebook, Instagram and Twitter followers are in other words not as worthless as some may think. It doesn’t mean that every like on Instagram equals a purchase, but you are building on a loyal, long-term customer base who is more likely to buy from you if you take the time to interact with your followers and take care of them. Provide them with great content that is share-proof such as inspiring pictures, amazing testimonials, interesting insights to make them love your brand and become loyal customers. Why do millennials value experiences over possessions? For the generation growing up during the crash of 2008, happiness is no longer focused on possessions or career status. Generation Y doesn’t want to wait to live their life after they’ve retired. A happy and meaningful life according to millennials, is a life full of experiences and memories they can share with friends and family. Young travellers don’t travel for the luxury of it, they look for authentic moments and want to connect with people and cultures. Don’t try to lock them away in an all-in resort, they want to write their own story, be impulsive and feel like a local. Thanks to this generation, the experience sector is booming. Many travel agencies started offering highly specialized trips that cater to a specific interest (eg. photography, cycling, trekking, diving etc). 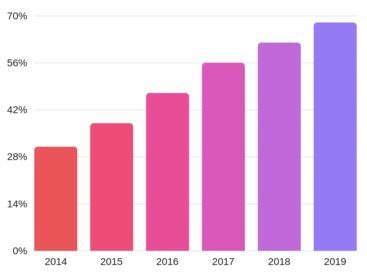 It is also striking how Airbnb ‘Experiences’ is growing much faster than Airbnb ‘Homes’. This new form of traveling was introduced by millennials, but has been inspiring the other generations too. However, most travel agencies haven’t adjusted their marketing strategy to the new travel landscape yet and still invest in destination ads and/or branded ads. Young travellers crave for inspiring content that corresponds to their personal interests – they even expect it. They are looking for authenticity in both destinations and marketing. With the help of analytics, important travel agencies have been delivering dynamic and optimized ad content tailored to specific customers. Their strategy has been shifting from staged photo shoots of Lady Liberty for example, to influencer marketing and user generated content to capture trusted and authentic experiences. Millennials reject anything that feels like they are being sold to, but love personalized and helpful content.They want to know where New Yorkers go for a beer, where they spend time, and what others say are must sees in the city. The results are significant. Create a target audience based on personas in order to be able to show specific content to highly targeted customers for better result. Work with specialized trips to connect with specific interest groups. ‘Experience economists’ are searching for authentic moments and like to be inspired. Let them taste from the travel experiences you offer by showing them beautiful images and videos. If millennials love your content, they are more likely to engage with your brand. Watch out, don’t use only static pictures of destinations, but work with more dynamic images that tell a unique story. As we said in the introduction, millennials are grateful, loyal and valuable customers. Once they are a fan of your brand, they don’t usually mind becoming an ambassador. Encourage them to share their travel experiences on social media by making your content easily sharable and share-worthy and/or by introducing a compelling hashtag. Others will get inspired by their testimonials and will be influenced to enjoy the same trusted and authentic experience. Millennials are using multiple devices and more than one channel. Still, they like a brand to be consistent and present during their whole journey. Build ad funnels to connect with potential customers every step of their journey. Millennials don’t want old brochures and visiting travel agents. They want testimonial videos, travel ideas, reviews and helpful articles. They want content that fits their interests and want it online, on every channel they use. 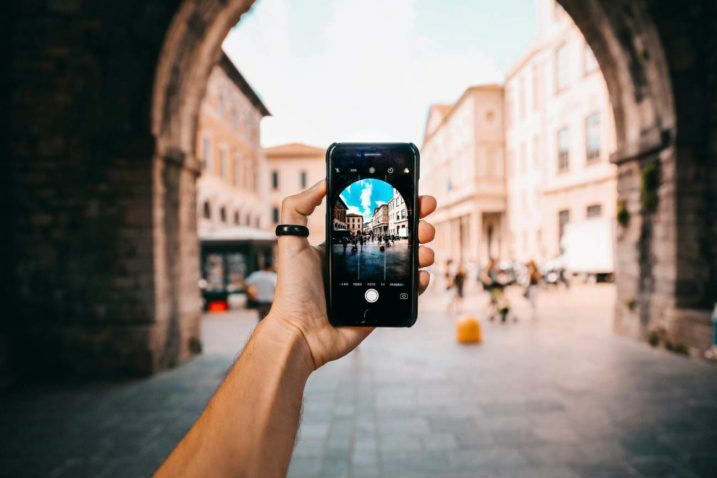 The traditional marketing funnel to connect with potential travellers has become irrelevant for this new wave of travellers. Travel marketing for millennials requires a marketing strategy that focuses on strong photography, helpful content, a multi-channel approach and a unique voice for every interest and age group. Do you want to read this blogpost another time or share it with your friends or colleagues? Download the blogpost here!